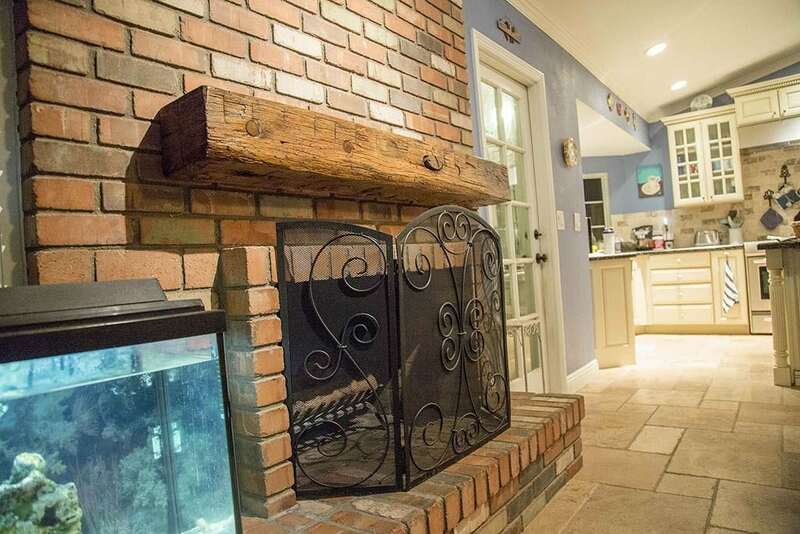 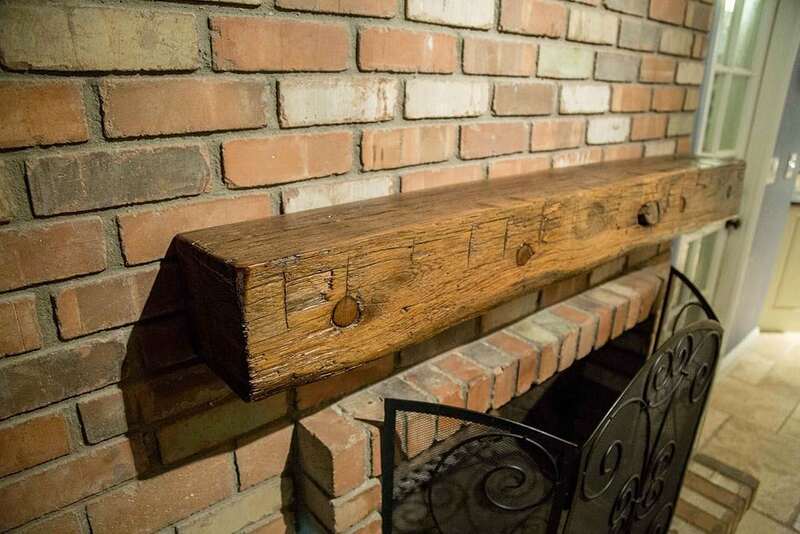 Made from a hand hewn oak beam, taken out of a centuries old barn, from Pennsylvania. 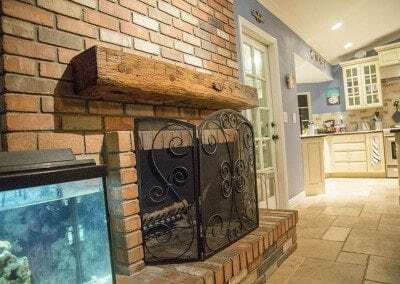 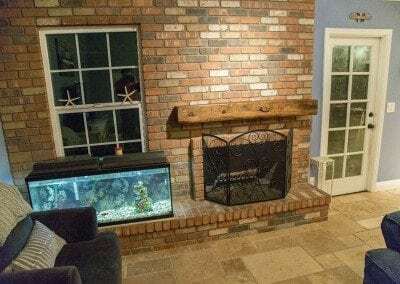 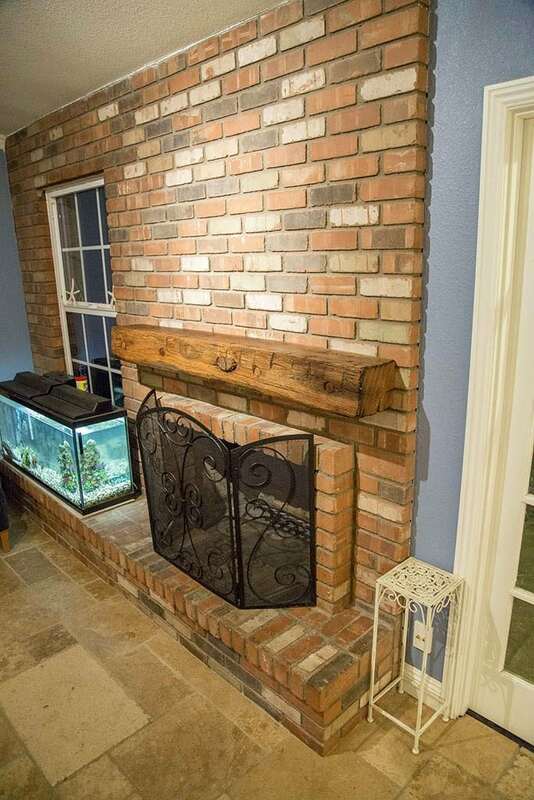 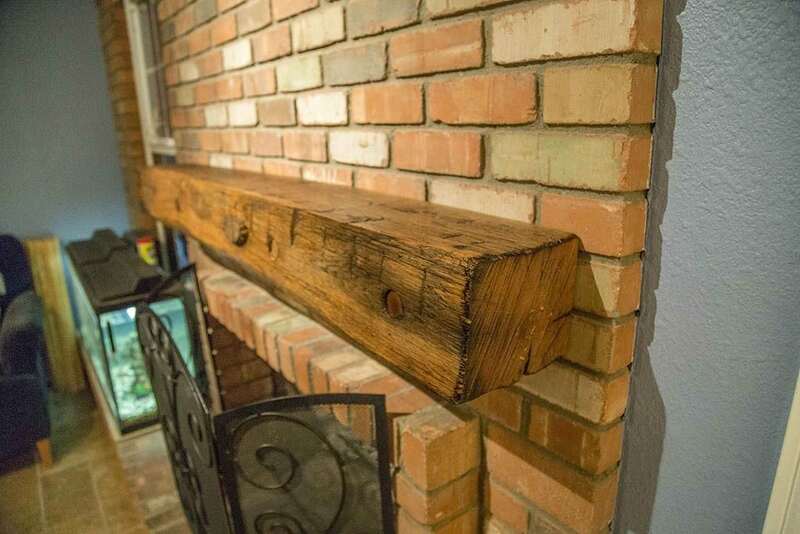 We took this mantel to it’s new home in Mesa, AZ. 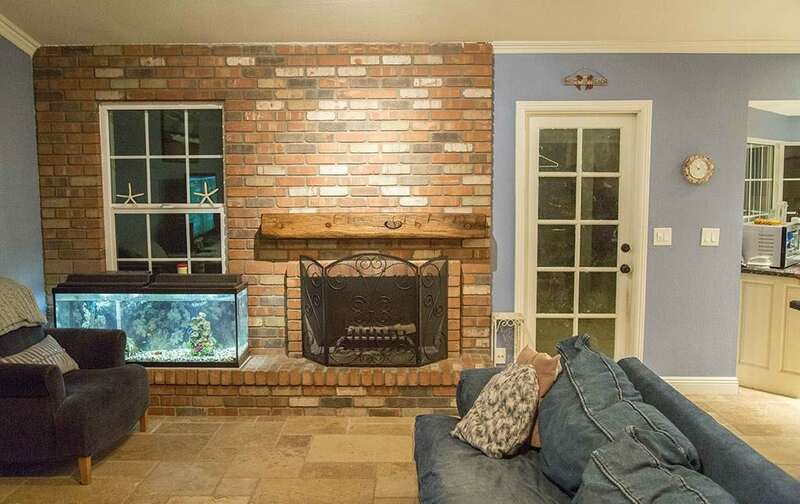 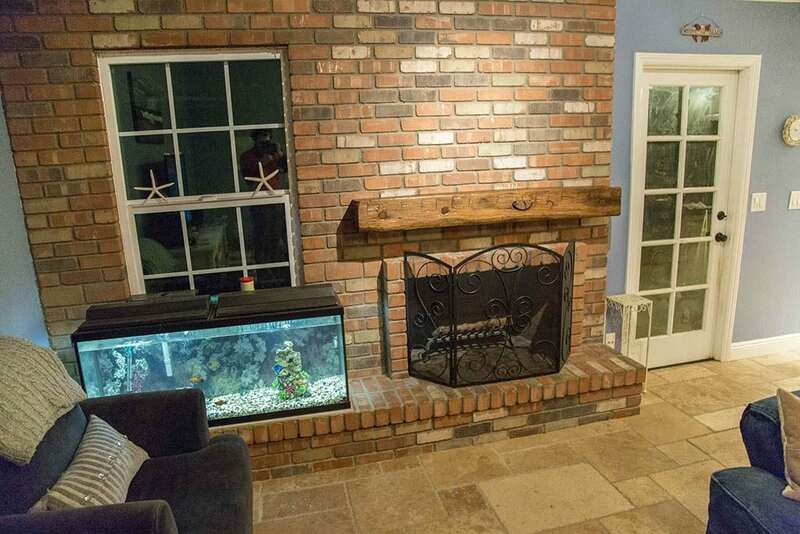 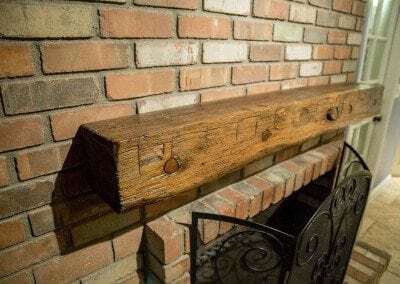 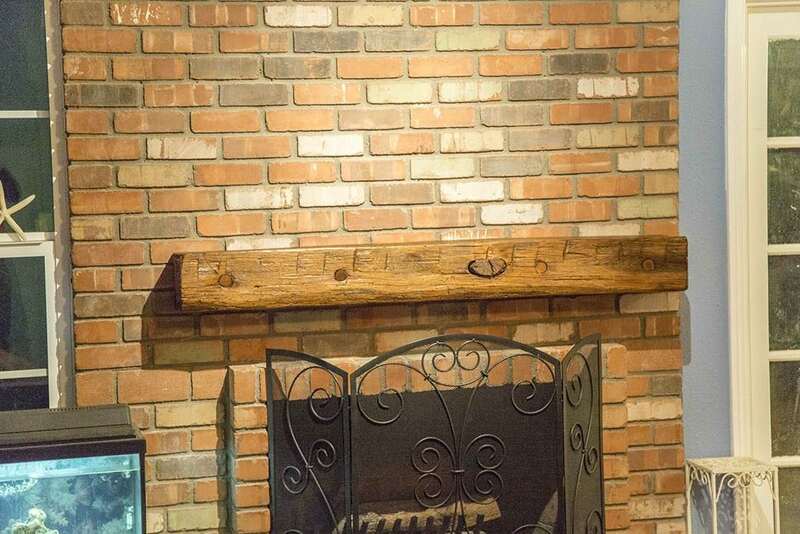 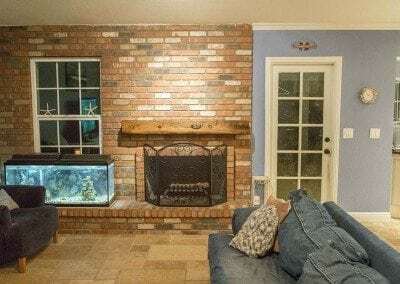 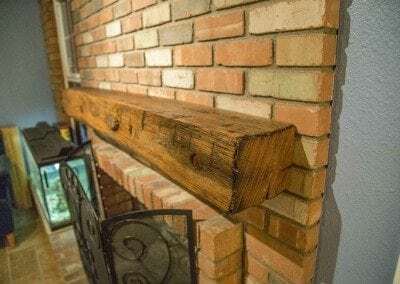 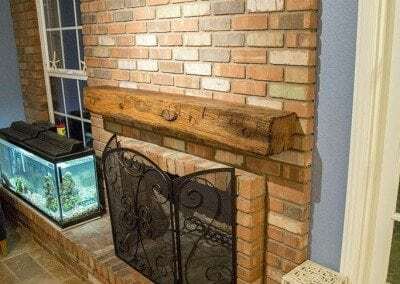 We installed the mantel with 4 lags anchored into the red brick, then inserted custom pegs into the mounting holes, hiding the hardware used. 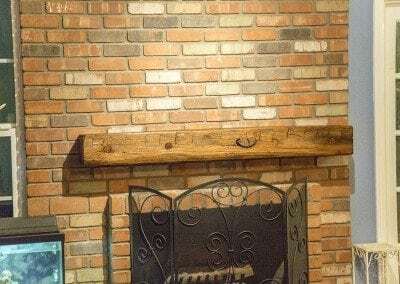 After seeing the mantel installed, we think it turned out beautiful, giving the space a perfect touch.